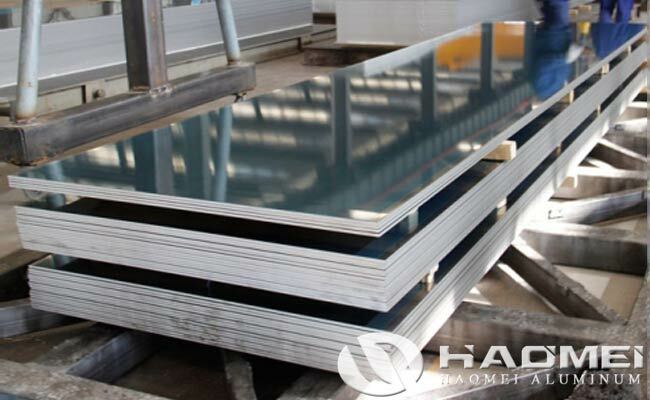 5182 aluminum sheet is one of the best-selling products of Haomei Aluminum. The 5182 aluminum sheet metal belongs to Al-Mg-Si alloy and has a wide range of applications. 5182 aluminum alloy has good corrosion resistance, excellent weldability, good cold workability and medium intensity, which can widely used in automotive aluminum lightweight products, the has get product through the SGS automotive aluminum quality management system certification. The temper of 5182 aluminum sheet plate are O, H12, H14, H16, H18, H19, H22, H24, H26, H28, H32, H34 H36, H38, H111, H112, H114, H 116, H321. The thickness is 0.15-600mm, the width is 20-2600mm, the length is 500-16000mm. The typical products of aluminium sheet 5182 are outer plates, decks, refrigeration equipment, tankers, oxygen generator towers, etc. The market application of aluminum sheet 5182 are mainly used for demanding plasticity and good weld ability, low load parts working in liquid or gas medium, such as fuel tanks, gasoline or lube conduits, various liquid containers and other deep-drawn load parts products. Wires product are used to make rivets. Thin sheets can be used to process parts such as can lids, automotive body panels, control panels, reinforcements and brackets.